After a highly praised appearance at the Fort Myers Film Festival last month, 315 Films short The Interview will return to the city in which it was shot for yet another festival appearance — this time at the 15 Minutes of Fame Film Festival. The film will play in the 3 p.m. block at the festival, which will be held at the International Palms Resort on International Drive in Orlando, where the film was shot in the fall of 2013. Filmmakers will be in attendance. The Interview follows Michael as he lands an interview on his biggest stage yet. So why does it feel like everything is slipping away? Anthony Consolo wrote and and stars in the film, alongside Enrico Marcellino. Tim Ritter produced and directed. 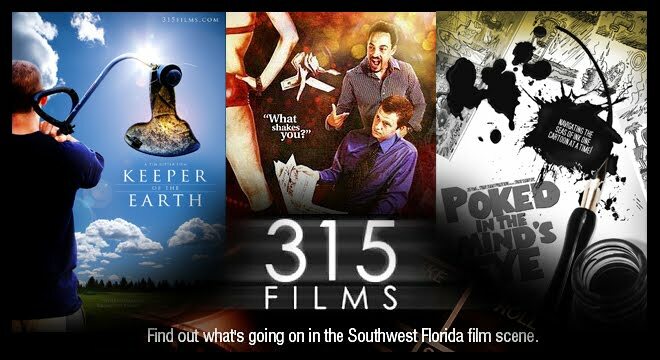 315 FILMS is the center for filmmaking in Southwest Florida. Testament (2015, postproduction): One man struggles to keep alive a popular movement he's not even sure he still believes in when its leader is murdered in a crumbling world. Written and directed by Tim Ritter. Starring Demi Castro, Rachel Comeau, Jose Miguel Vasquez, Robb Maus, Michelle Coutinho and Jaymeson Metz. Moment of Truth (2015): On the run from the mob, Jess seems headed toward a gruesome death. But when he is spared at the last moment, he has to find out one thing: Why? Written and directed by Tim Ritter. 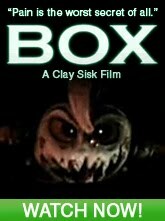 Starring Stuart Alexander, Jennifer Keister, Tony Berry, Mitchell Jacobs, Shawn Genther, Michael Dunsworth and Vladimy Bellefleur. The First Time (2013): A new recruit is introduced by a weary veteran into a sordid new life. Written and directed by Tim Ritter, Jacob Sadowsky, Carlos Martinez and Zachary Feller and starring Jose Miguel Vasquez and Anthony Consolo. Free (2013): A seemingly cursed everyman's obsession with winning the lottery takes him into unexpected territory. Written and directed by Jason Whitaker and starring Tony Riha and Anthony Consolo. The Interview (2013): The role of a lifetime nets Michael an interview on his biggest stage yet, so why does it suddenly feel like everything is slipping away? Written by and starring Anthony Consolo and directed by Tim Ritter. Finding Eden (2012, postpostproduction): It is time for the long overdue first meeting between a mother and her biological son, who has conflicting feelings over forging a new connection after spending a happy childhood with his foster mother. Written and directed by Pat Mitchell; starring Amber Newman, Michael Nunnink and Jessica Frazier; produced by Edison State College Film and Theater Society. * Dawn (2012): Terry finds himself in a strange place, with some unexpected company waiting to greet him. Written and directed by Tim Ritter, starring Shawn Genther, Michael Dunsworth, Stuart Alexander and Jennifer Keister. * Crust (2011): Breakfast takes a strange turn in 315 Films' first short short. Directed by Perry Wilson, starring Shawn Genther. Motel 2 (2011): A small group of killers and hoods descends on The Palms motel with murder on their minds. Written and directed by Clay Sisk, starring Stuart Alexander, Tim Ritter, Tom Smith, Mike Donlan, A.J. Collins, Stu Pepper, Michelle Collins, Trevor James and Charles Ballaro. ** Keeper of the Earth (2010): Young Adam's summer working the fields is almost over; now with the help of old friends G and Nathan, he has to decide what to do with the rest of his life. Written and directed by Tim Ritter, starring Carl Bleich, Tony Berry, Orenthial Brown, Stuart Alexander, Cristela Guerra and A.J. Collins. * Shaken (2010): Frank turns to old friend and renowned player Sonny to help him get back on his feet after getting dumped by his fiancee. Directed by Pat Mitchell, written by Stuart Alexander, starring Stuart Alexander, Tim Ritter, Gabriella Lennep and Marty Wisher. The Long Wait (2009): Two men wait in the darkness for a third, one they believe will deliver them from lives of hardship and pain. Written and directed by Tim Ritter, starring Tony Berry and Jon Henry. All images, films, etc is the property of 315 FILMS and their specific creators. Awesome Inc. theme. Powered by Blogger.